Men's heavyweight work pants with a design built to move. These men's relaxed-fit work pants give you the mobility you need when laying tile or resetting a fence. Made of heavyweight duck, they're designed with enough flex for you to kneel or squat easily. The back pockets have a reinforced lining built with your tools in mind. Machine wash warm with like colors. Do not bleach. Tumble dry medium, re move promptly. Iron with low heat. Do not dry clean. Carhartt Rugged Flex® technology moves and stretches with you throughout the day so that whatever you're doing, it's easier to do. Rugged Flex® garments must meet the Carhartt's defined standards for stretch, recovery, and durability, so when you put on a Rugged Flex® garment, you know it won't let you down. You'll find Rugged Flex® in shorts, shirts, pants, jackets, and boots because you need gear that helps you move, not gear that holds you back. Prior to ordering these, I had been wearing the relaxed fit washed duck work dungaree to work everyday. I work in construction, and my only complaint was that they have no flexibility and restricted my movement. So I decided to get a few pairs of these, because I figured they would be the same great pants with some added flexibility. After wearing one time, I realized that the added stretch in the material comes at a cost. They are much less restricting, but that flexible material causes the pockets to become loose and the pants tend to become misshapen throughout the day as they are stretched in different spots. Also, it is IMPOSSIBLE to get the wrinkles out of them after washing without using an iron, and even then it seems like some creases are never coming out. Also, after the first wash they get these white creases or almost stretch marks all over. The attached picture shows this. 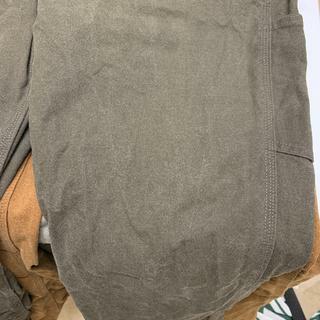 It was taken when they were wet, but those marks don't go away when dried, and this is after only the second wash. These will definitely not last as long as the non-rugged flex duck dungarees, and they're a little more expensive. I just wish there was a good compromise between durability and flexibility, and these aren't it. Overall I'm very disappointed in these pants. We appreciate your input and are sorry to hear about these concerns. Please feel free to reach out to Customer Service at 1 800 833 3118. 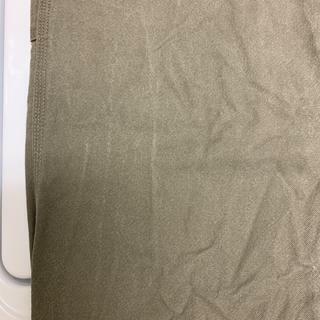 Dye started coming off after a few washes. Very disappointed. We're sorry to hear this. Please contact us at 1 800 833 3118 for assistance. We appreciate your input and are sorry to hear this. Please contact us at 1 800 833 3118 if you need further assistance. Great fit! And comfortable. Duluth has nothing on Carhartt! The duck dungaree material is thinner and seems like a washed material as opposed to duck dungaree's I have purchased locally. Being 6’2 220 lbs with a muscular build, these pants fit and move like a dream come true. Great duck material that is soft enough to move with you, but tough enough to handle anything. Side pockets great for tools. My new go to work pants! These pants are very comfortable and fit great. Perfect for work as well as outdoors with my dogs. Highly recommend ! Credit my spouse for dragging me into Carhartt. Excellent product. Purchased other products to further equip me for future deployments. Highly recommend you acquire a pair or two, possibly more. Very comfortable, durable pair of dungarees. I own several pairs for use on Team Rubicon deployments. For the price, well worth the investment as compared to other competitor brands of lesser durability and comfort. Any plans to release more colors soon? BEST ANSWER: We will not have any new colors available at this time. We appreciate your feedback and will forward your suggestion to our Product Design Team for future consideration. after about 10 washes my carhartt duck pants shrink from a 32 to a 30 , I don't like this my pants should not shrink in cold water. how or what should I do ? BEST ANSWER: Please contact us by phone at 800-833-3118 Monday-Friday from 8am-9pm EST and Saturdays 9am-5pm EST, by Live Chat Monday-Friday 9am-12am or Saturday & Sunday 9am-9pm EST or anytime by email at just_ask_us@carhartt.com. Are these 7 or 9 belt loops? BEST ANSWER: The # of belt loops depends on the waist size of the pants: size 28-31 gets 5 belt loops; size 32-42 gets 7 belt loops; size 44+ gets 9 belt loops. How do these compare fit-wise to b11? BEST ANSWER: Our B11 will be a Loose Fit.This will have a full seat and thigh. This style will be a Relaxed Fit. It will have a relaxed seat and thigh. My experience is that they’re thankfully less baggy. I mean I know we need room to move, but a lot of carhartts are like clown pants. These are just right, especially with the small amount of stretch. They don’t feel like they’ll last as long, but they’re comfy and still plenty durable feeling. They seem to be a little more on the “loose fit” style, which automatically gives more room. I bought these for my husband & he said he would definitely recommend them. They seem to be a little thinner material too, but that’s been great for the warmer weather we’ve been experiencing in N GA! The waist is too small. I bought a 31" before and they fit fine. I returned them. For me they fit exactly the same. I love them. Not as baggy, and still good quality cloth!! Are the rugged duck pants. CARHARTS.? BEST ANSWER: Yes, this is a Carhartt item.